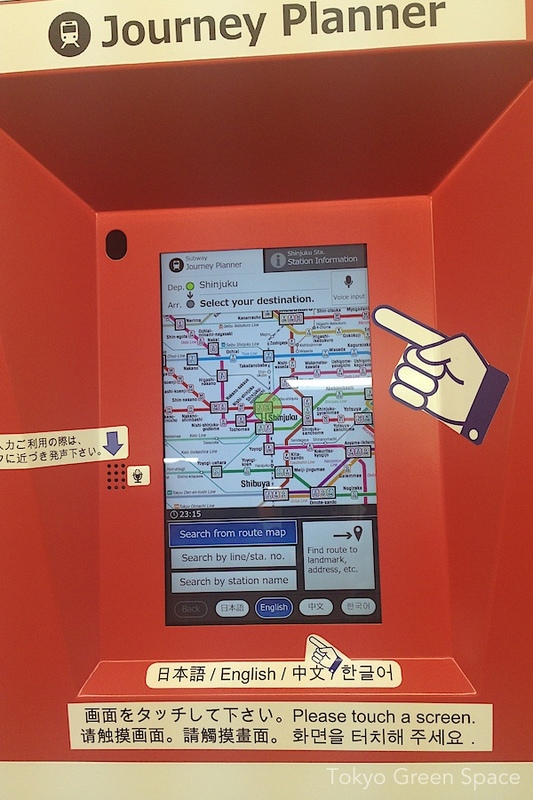 Tokyo Metro, in one of its first large communication efforts for foreigners, has helpfully simplified Tokyo transit for those ready to go beyond the Yamanote JR loop line and the Sobu-Chuo metro commuter lines. 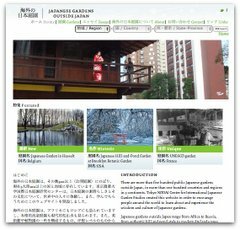 Cool Tokyo, Night Life, Metropolitan Luxury, and Cultural Fusion are newly invented geographies with some suggested destinations. 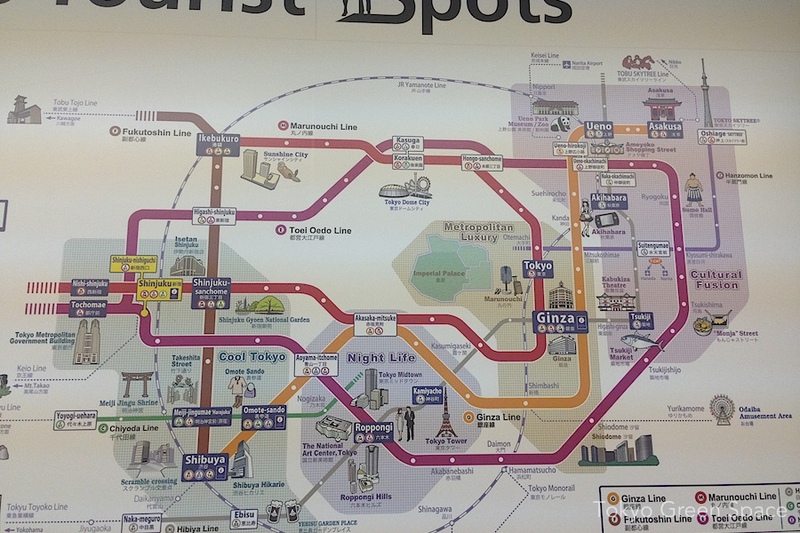 I am secretly glad not to see Nakano and Koenji on the map. We can be “off the radar. I also wonder how well the tiny interactive Journey Planner works. The initial screen looks like the map threw up on itself in four languages. I guess it’s a start. 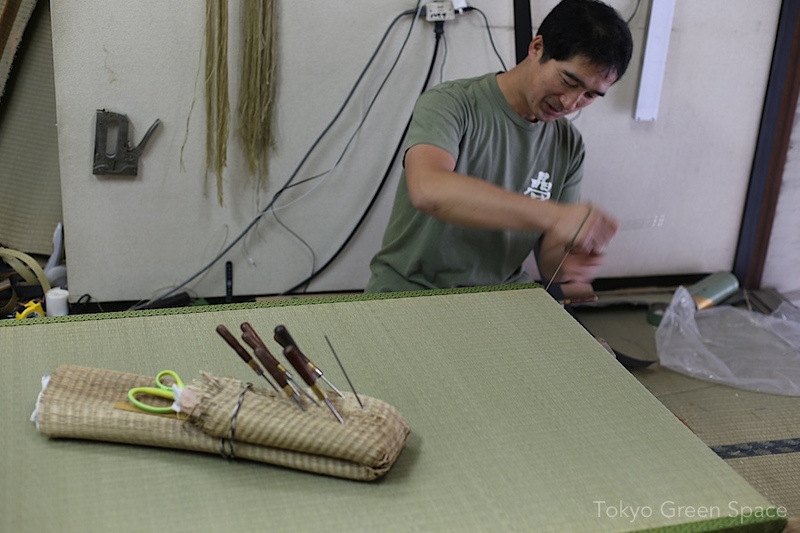 On Shibaura House’s Kanto Tour Guide in Suginami, we saw an open door and a man making tatami mats above the garage. 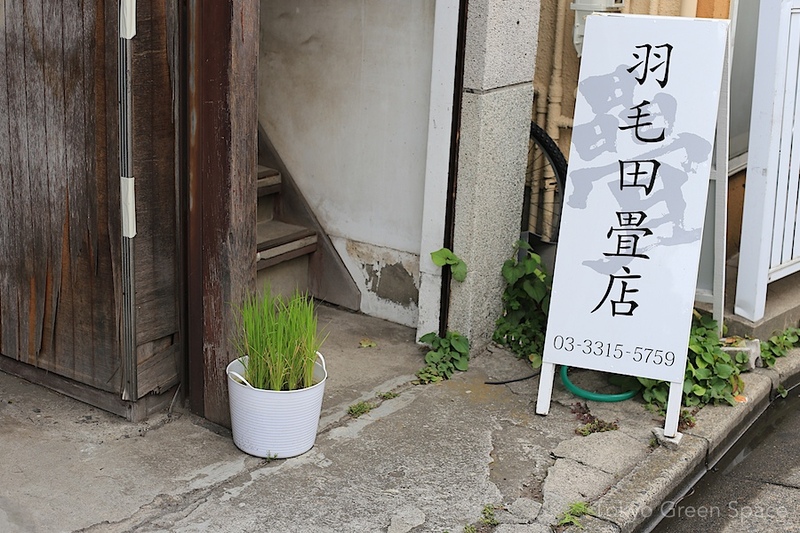 The friendly proprietor of Haketa Tatami shop in Shin Koenji told us that his family has had this business in Suginami for decades, starting with his father. In addition to showing us his craftsmanship, he asked us whether we had seen his “rice field.” It’s in the white bucket, to the left of the shop sign. I also learned that tatami mats should be changed every 3 or 4 years. Ours are coming up on 6 years, so maybe it’s time to order a new set? View towards Koenji from hallway makes me wonder where are the trees? 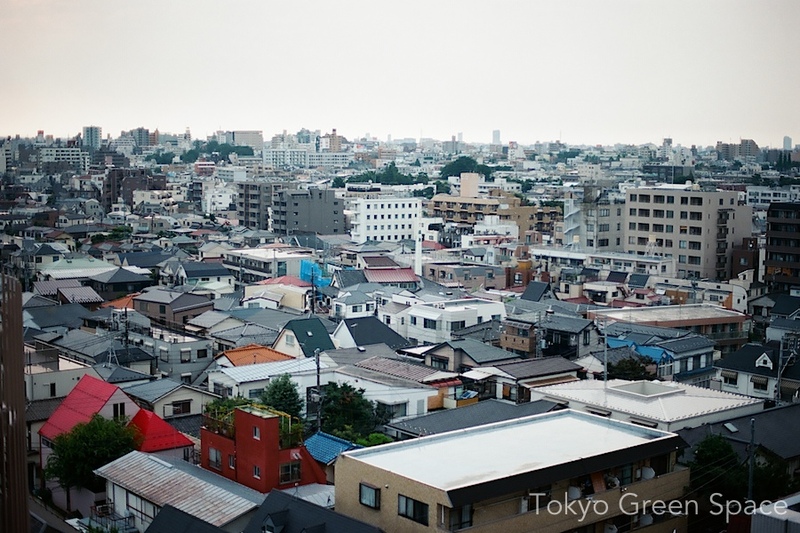 The opposite side of the apartment from our balcony is a hallway with an enormous view of inner west Tokyo, including the Chuo and Sobu line trains. There’s a serious shortage of trees and open space. 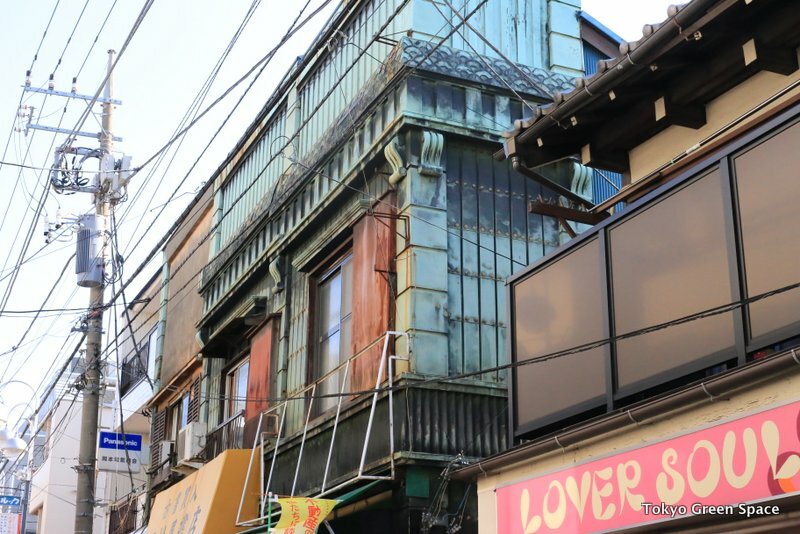 On Koenji’s Look shopping street, the mix of building styles and signage is fun. I bike down a back street to visit my favorite Shin Koenji coffee shop. 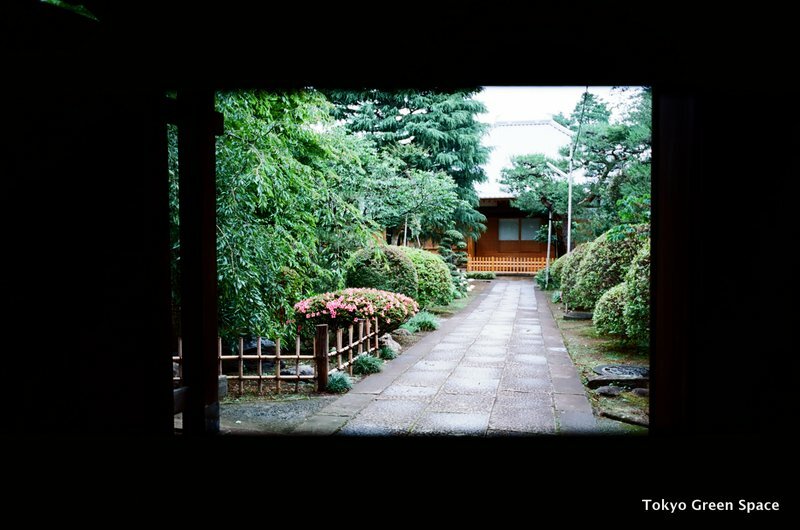 I pass several temples with well maintained gardens. The long entrance looked particularly elegant on a cold, sunny day. 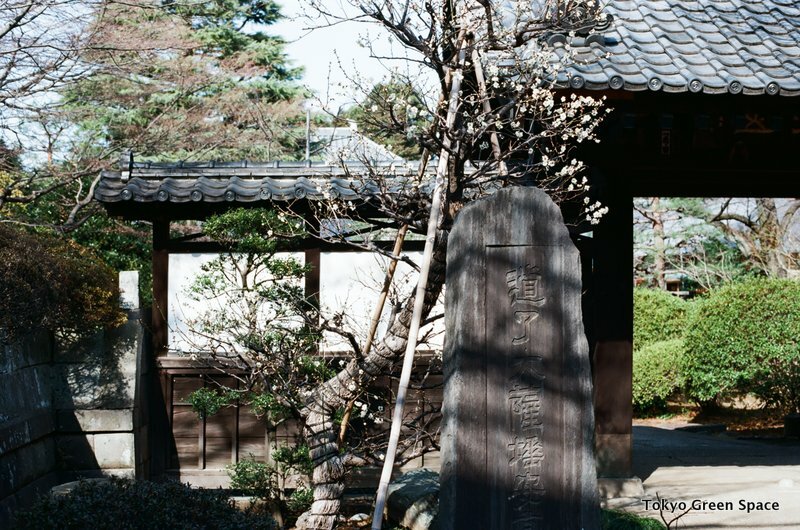 Just to the side of the gate, a plum tree is blooming. I love this winter scene of rampant white camellia and tall native palms, with plenty of dead fronds still attached to the crown. The wild landscape makes the house cozy and bright in the cold weather. 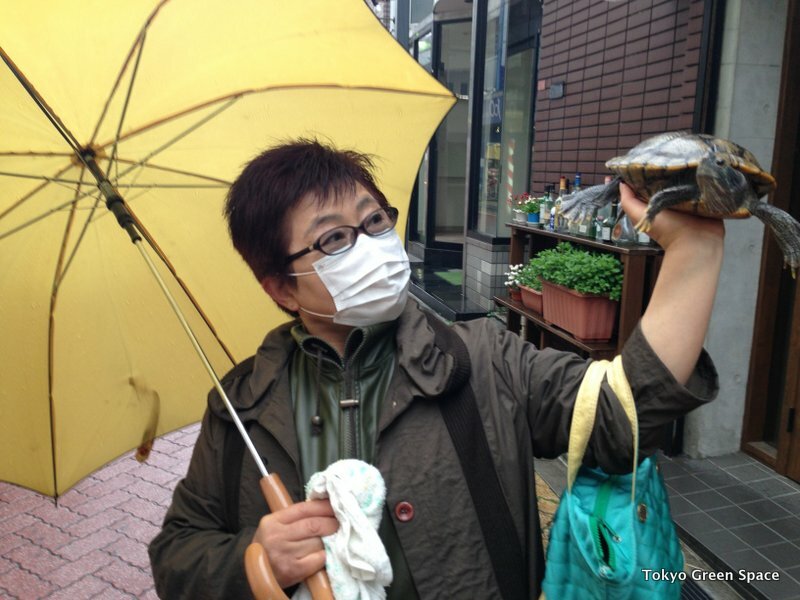 Fresh off electoral defeat, tanuki hosts Santanuki party in Koenji this Friday. Please come. Please come to Tanuki’s first ever Koenji Xmas party this Friday at Dynamo, a skate-board bar with felafel! Thanks @dynamo_koenji. 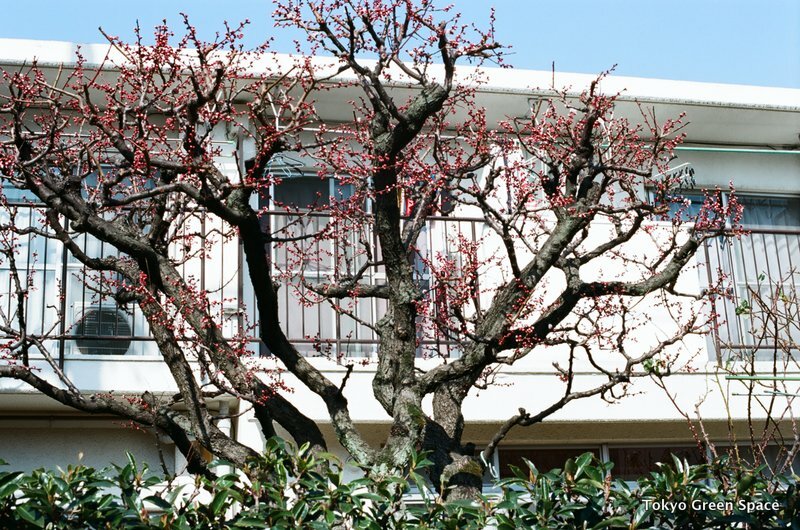 On a backstreet in Koenji, I came across this olive tree. That looks like a lot of olives, doesn’t it? 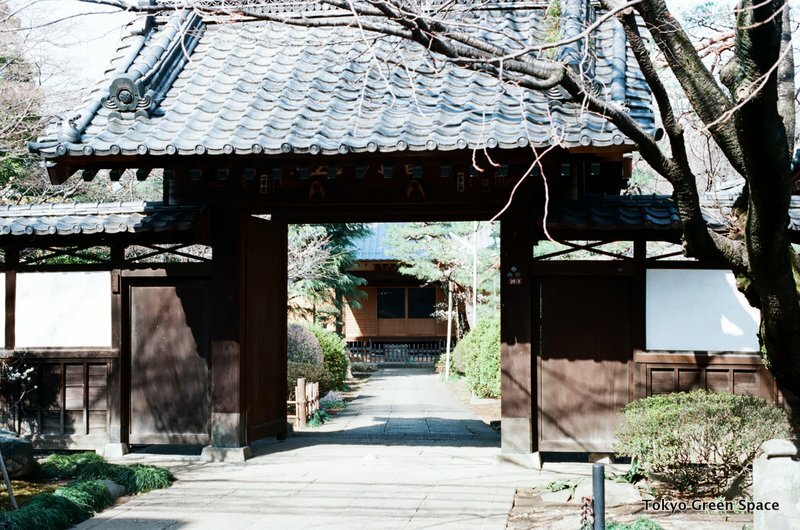 Now that’s a formal entrance to a Buddhist temple in Koenji!